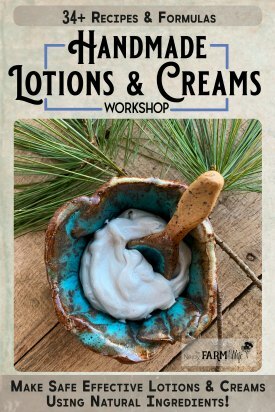 Fresh cucumbers and mint leaves combine with Epsom salt to create this lightly scented and refreshing bath soak made from locally sourced ingredients. The salt helps to rapidly dry the fresh ingredients, capturing and preserving the natural green color for months. No fake colorants, food coloring or preservatives needed! ? ? 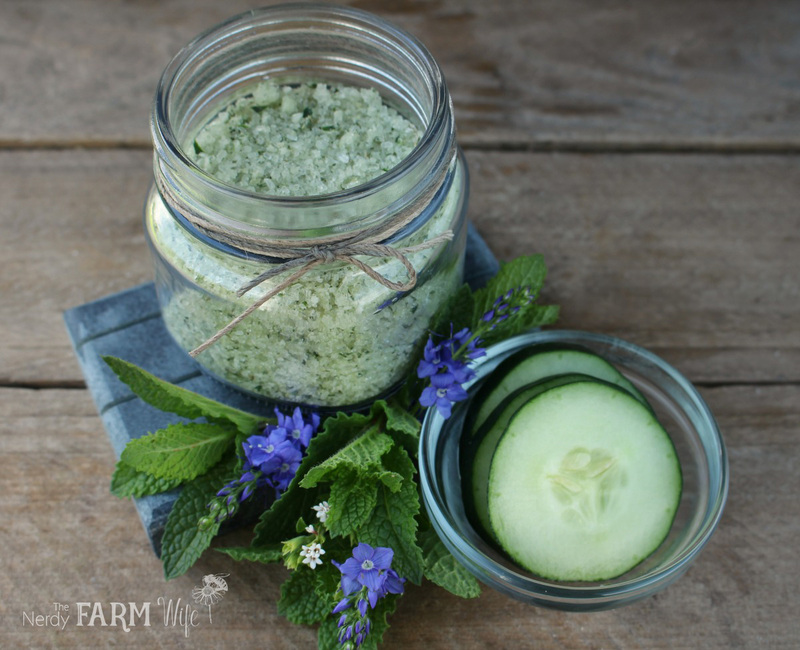 Cucumber Mint Bath Soak – super easy & fun to make! ? ? Blend ingredients together in a small food processor. Spread the mixture on wax paper & let air dry 24 hours. Crumble or re-process until evenly textured. Store in a tightly sealed jar. The salt dries & preserves the cucumber and mint; as long as it stays completely dry it will not spoil. The all-natural color usually lasts at least 3 to 4 months, or longer, when stored out of sunlight & heat. ? 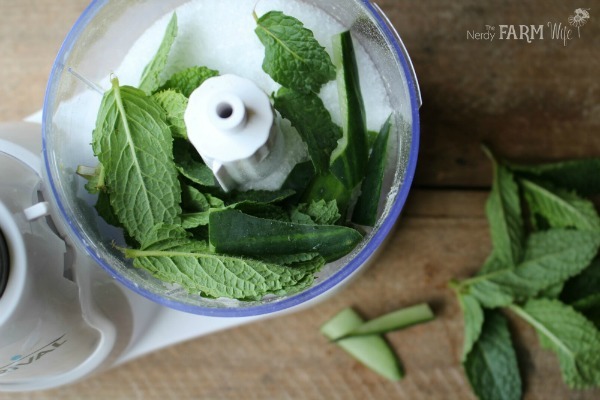 Pour the Epsom salt in the bowl of a mini food processor (like THIS ONE). Add the cucumber peel and fresh mint leaves. Blend until the green color is evenly distributed throughout the salt. Spread the now-green salt out on wax paper to dry completely, for around one to two days. The salt will help preserve the bright green color of the soak for several months, as long as it’s stored out of direct sunlight, which may speed fading. Once totally dry, crumble up the salt, stir in the essential oil (if using) and store in an air-tight glass jar until ready to use. Be very light-handed with peppermint essential oil since just a drop or two will do. Too much can irritate sensitive skin as you bathe. If you were too heavy-handed on the green plants, try blending in a little extra Epsom salt to balance things out. If the salt is too lightly colored, try blending in more mint leaves or cucumber peel. Try not to overblend, or you might end up with a too powdery texture. Make small batches so you can control the color and texture easier. Pour the dried soak into a cotton muslin bag (like THIS ONE) or tie up into a clean sock. Drop the bag/sock in the warm water as the tub fills. Enjoy! 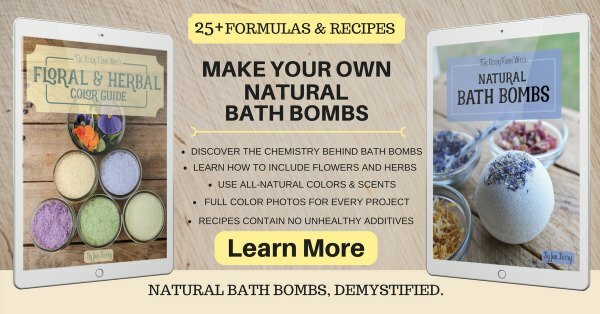 Looking for more natural bath soak & bath bomb ideas? 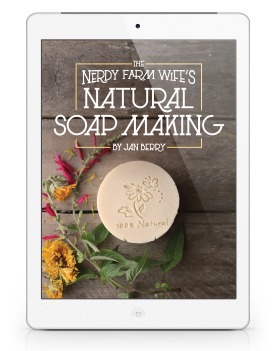 Check out my Natural Bath Care Package! Tagged bath, cucumber, mint. Bookmark the permalink. Thank you for offering your new book over at Strangers and Pilgrims as a giveaway. 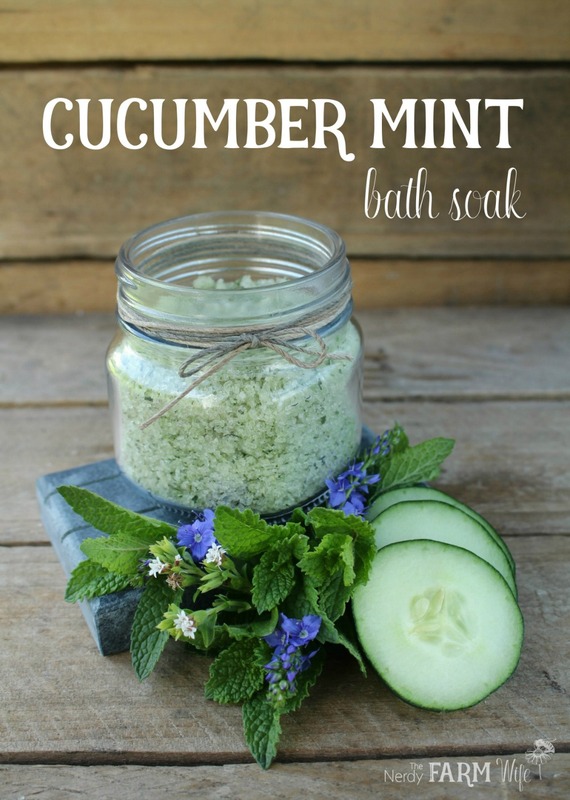 Awesome the cucumber/mint soak sounds wow. Tomorrow going to buy fresh cucumber as have pickled all mine. Will make super original gifts. Thank you so much! I actually juice my cucumbers so I can use it throughout the winter. Makes a great salad dressing. I guess I can make the mint part then spoon in some cucumber on a needed basis. What do you think? Do you use a full cup per bath? Or how much? It looks like a easy, fun and useful gift. Hi Annette! I’m happy you like the recipe! I usually put the whole batch in one bath, but you could probably split it between two baths as well. Hi Vidhya! As long as you keep your soap out of direct sunlight and high heat, it should stay fresh for at least 9 months to a year. Soap never molds or anything, it just starts to smell like old oil and may develop yellow spots to indicate the oils are going rancid in it. What is the shelf life of this? Looks awesome! Wondering ,because the mint leaves and peel are fresh…they don’t spoil? I think this would feel great after a long day in sun. Hi! Id really like to try this recipe! I’m wondering if after time, the mint leaves and natrual cucumber skin will make the product smell bad or spoiled. Do you know the shelf life of this products? Thanks Darren! Glad you like the recipe!